Shoton Festival usually takes place in the middle of August. It is celebrated during the 15th to the 24th of the 5th lunar month of the year. 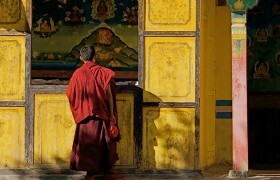 Killing is a taboo in Tibetan Buddhism. To not step on the emerging insects in the summer, monks are forbidden to leave their monasteries for a month. 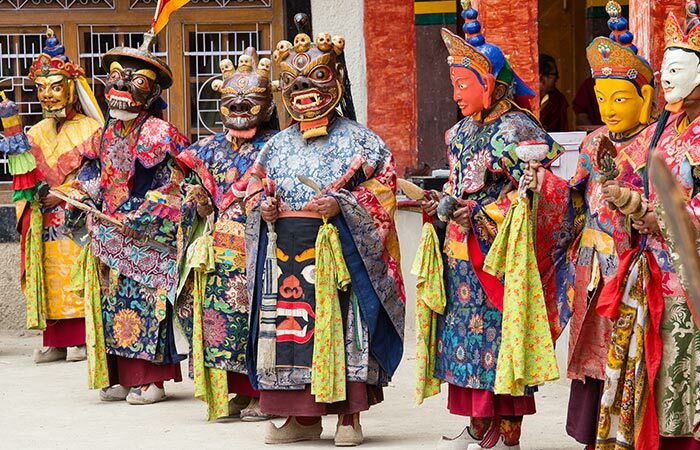 The festival begins when monks go out again and lay people offer them yogurts. “Shoton” in Tibetan means “yogurt banquet”, but this festival has other activities as well. 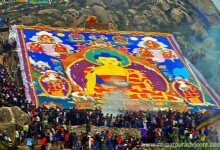 The most remarkable one is the unveiling of thangka at Drepung Monastery. A 500-square-meter thangka of the Buddha is hanged outside the monastery. The ceremony begins at eight in the morning when the first light of the sun strikes. 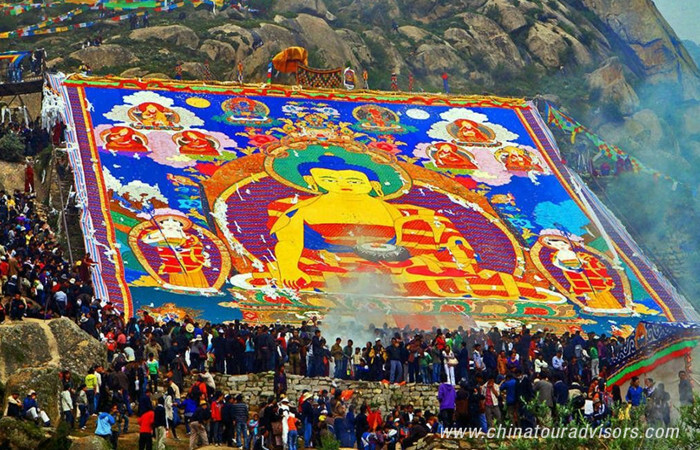 The colorful painting and the peaceful appearance of the Buddha will be gradually seen by the people as the sun goes up. 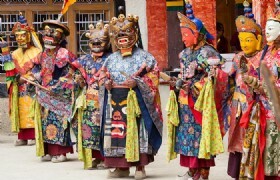 At the second day of the festival, there will be Tibetan opera, which is also a very big event. It begins at 11 in the morning till dark every day during the festival. Shows take place opposite the Potala Palace. 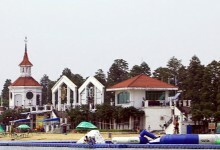 People watch the shows with families and friends while drinking butter tea and chang. Operas are also held at other areas of the city. 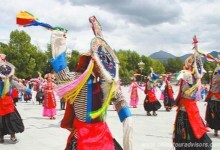 Different schools of Tibetan operas will compete with each other. There will be even opera casts from other parts of China traveled to the holy city. 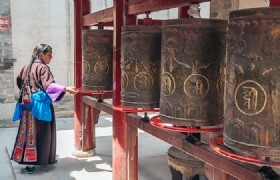 Travelers around the world, who wish to discover more than just turquoise lakes and snow capped mountains on this faraway land, are drawn to Tibet at this time of year.